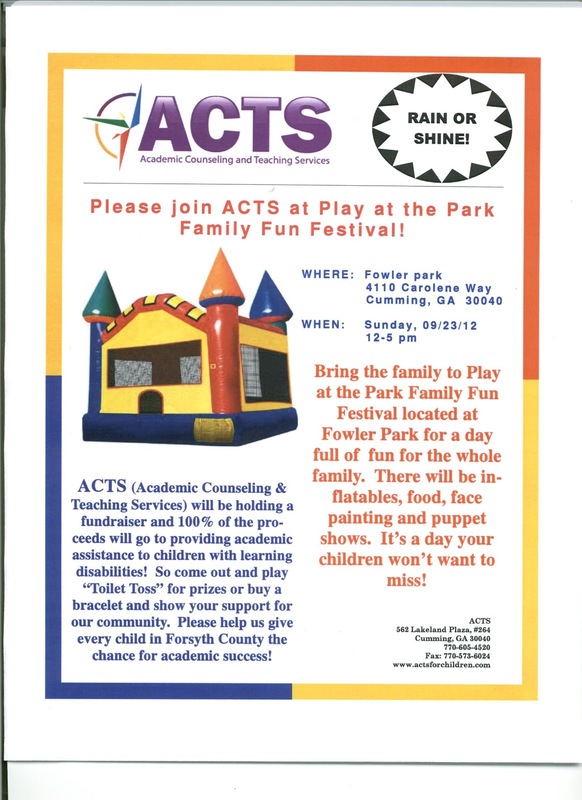 show your support by visiting them at the Play at the Park Family Fun Festival on Sunday, 09/23/12 from 12-5 at Fowler Park. They will be holding a fundraiser to assist families who do not have the ability to access services. So come out and play "Toilet Toss" for prizes or buy a bracelet for this worthwhile cause. Can't make the festival? No problem. ACTS accepts donations online, so please visit their website at www.actsforchildren.com. See you at the park!